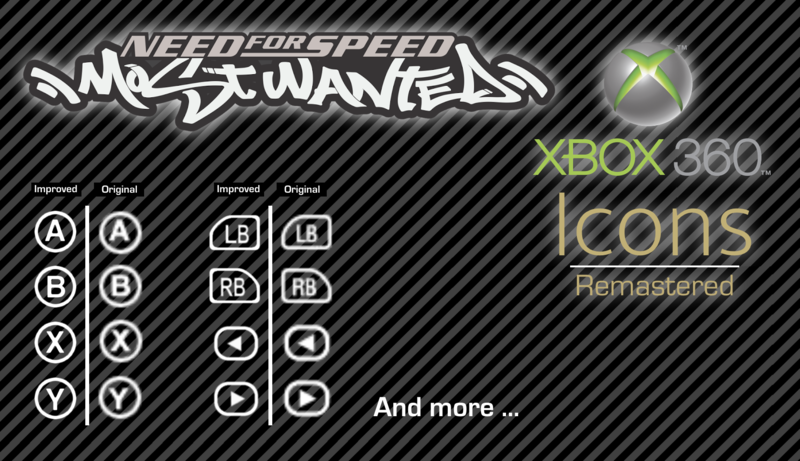 This mod replaces original PC icons with remastered Xbox 360 icons at a resolution of 128x128 pixels. This is a .apk file that works with latests updates of NFS Most Wanted Widescreen Fix ( Made by Aero_ and ThirteenAG ). All those icons were hand made, based on the original ones from the Xbox 360 version of the game, but a little bit more thinner and clearer. - Big thanks to Aero_ and ThirteenAG for helping me out on this project.